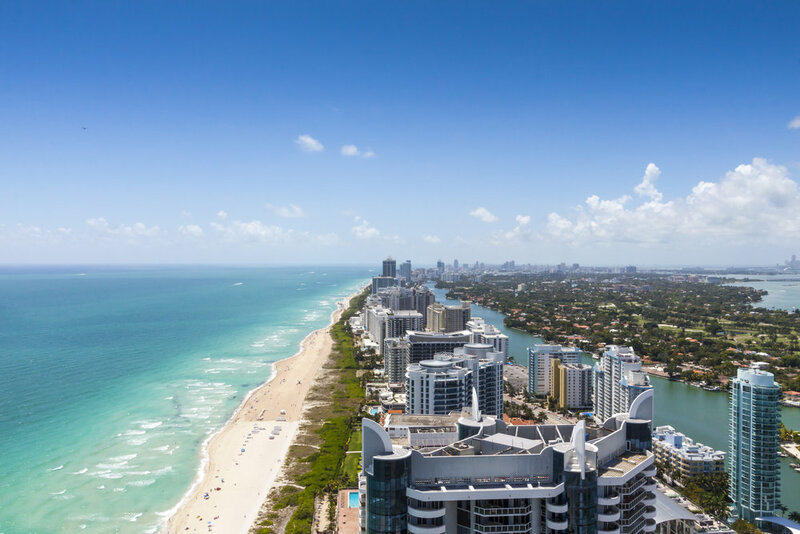 The City of Miami Beach successfully passed a referendum in 2017 to increase the maximum allowable square footage in the Town Center in North Beach. This 10-block area bounded by 72nd Street to the north, Collins Avenue to the east, Indian Creek Drive to the west, and 69th Street to the south is the “Main Street” area of North Beach and is a moderate density mixed use area with older buildings. Developers have been interested in re-developing the Town Center area but have been reluctant to do so given the current floor area ratio (FAR) allowable. The referendum will allow for greater density to benefit development while also protecting other historic neighborhoods in North Beach. The City’s recently completed Transportation Master Plan focuses on non-auto modes of travel and the City has committed to promoting transit, biking, and walking modes for all purposes. Renaissance Planning, under contract with Keith and Schnars, was tasked by the City to analyze the transportation impacts of this land use amendment using the mode choice models Renaissance has previously developed for the State of Maryland. Renaissance developed a multi-modal network using Open Street Map and GTFS feeds, along with auto travel times from the Southeast Regional Planning Model (SERPM) to develop 2017 and 2040 accessibility scores for work and non-work purposes. These accessibility results are the primary inputs to the mode choice model along with other socio-demographic data from both the County and American Community Survey. Renaissance staff calibrated the mode choice model using existing journey to work mode share estimates. Trip generation was performed using equations from the SERPM and distributions was performed using a gravity model with modifications to the results based on local knowledge of the area. The City presented the results of this study to the City Commission in July as support for the Comprehensive Plan Amendment.